When was the last time you sat down and read a story with your child? Although this is something we do on a weekly basis with Jared and a daily basis with Eryn I realise that not all parents have time to do this. Which I think is sad for both parents and children as it's such a special time to bond and let the imagination flow. We were recently set some new stories to read. Which the kids were excited recieve in the post. 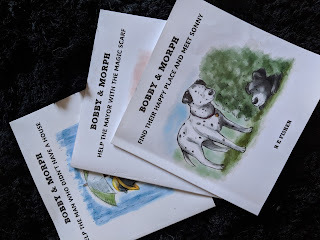 We were sent 3 short stories which are part the Bobby & Morph series. Bobby & Morph are dogs who are the centre of these beautiful written stories. In the books the author explains a little about where Bobby & Morph came from and that they were real dogs. I love when an author can give that little bit of a background. 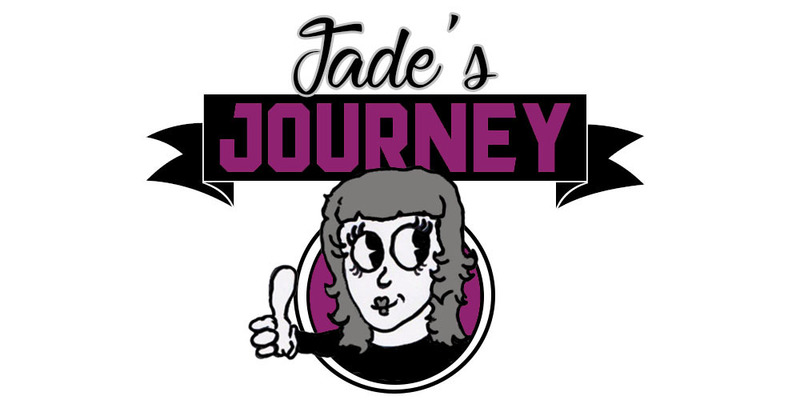 The series's is aimed at children aged between 4-7 but I personally feel that they would be loved just as much by 8-10 year olds, especially if you have an older child who enjoys reading to a younger sibling. We have read these 3 books many times over already and Jared is reading them himself and to his sister. With Jared being only five he has struggled with a few words but overall can read them well, it's great to see him enjoy reading and watching him cuddle up on the sofa to read to his sister. Jared can always point out the meaning or lesson to be learned from a story, I think this may be something that they do at school the lessons he pointed out from these were about being kind and helpful to others. Something I feel is very important to get across to children and even more so now with all this hate they see and hear on the news. One thing I really liked about these stories was the illustration. Nearly every book we own has full pages full of colour and pictures which distracts my children when we are reading. The illustration in these books are simple and compliment the story rather than distract from it. 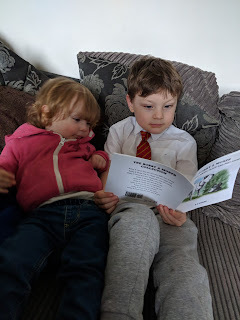 If you were looking for some new stories to read then I would definitely recommend these I also think they would be great for if your child wants or needs to develop their reading skill. 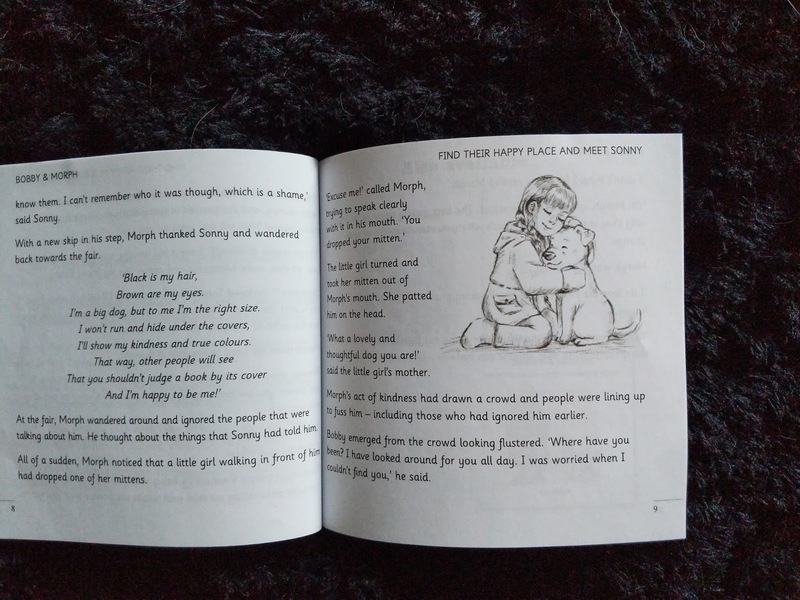 You can purchase the Bobby & Murphy range on Amazon and Waterstone's.